Price: Rs.175/- ... Say Whaaaa? I mean I was stunned & did a double take on the packagaing. This was a Himalaya owned store & so I checked with the guy at the counter again, "Excuse me...is this whole kit for 175/-?". He smiled & said, "Yes Ma'am!" ... Me thinks he gets that a lot ...especially for this product. 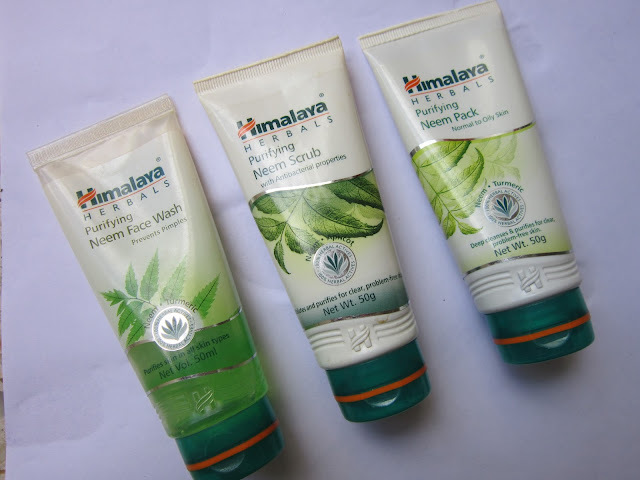 We have always loved Himalaya for its brilliant quality, affordable products for the entire family; but this was a pleasant surprise!! I got it for 175/- but I'm thinking you'd pay much less if you shop online for this. 1. 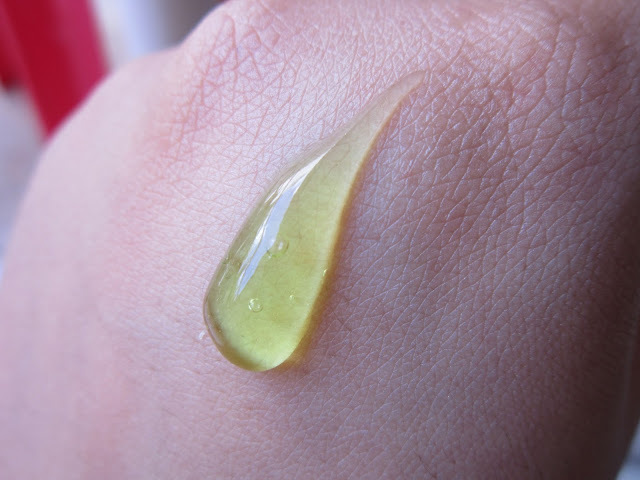 Purifying Neem Face Wash - 50ml: I have been going back to this like its my Mothership, even since I was an acne-prone teen :-P It's got a gel-like consistency & keeps the skin, clean and fresh, all day long. Thanks to its antibacterial Neem & Turmeric properties, it prevents breakouts without drying out the skin. The best part is that since its not specifically an oil-controlling product & doesn't strip the skin of its moisture, it can be used by any skin type. 2. 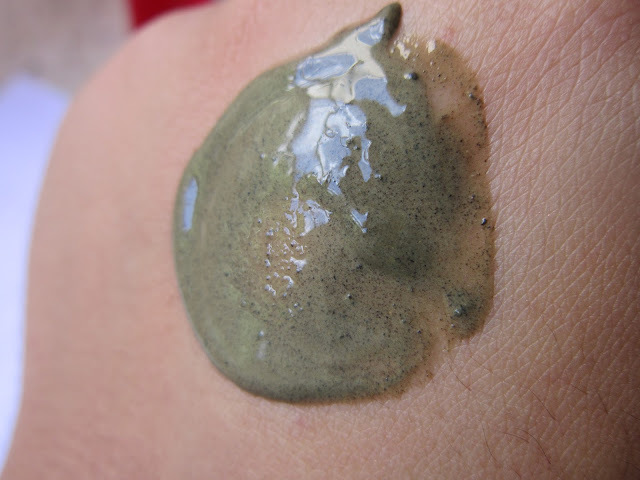 Purifying Neem Scrub - 50gm: An awesome exfoliator for daily use! Yes, I said daily use :-) The Neem & Apricot beads in this scrub aren't harsh on the skin & hence can be used on a daily basis for a quick scrub down at the end of the day. If you're still skeptical on exfoliating everyday, try using this on alternate days to see the difference. 3. Purifying Neem Pack - 50gm: This is my favourite product in this kit!! Even if I use another cleanser or scrub sometimes, this is the pack I have been using ever since I got the kit :-) On days that I decide to wash my hair, I apply the Garnier Fructis Oil-In-Cream on my hair & this Neem Face Pack on the face around 15-20 mins before a shower. I let the pack dry & then wash it off under some luke warm water :-) It leaves the skin feeling squeaky clean & fresh! The first time I used it, I could actually 'see' a difference around my nose & cheek area; pores were tighter & visibly cleaner!! How to include this kit in your skincare routine: As the name suggests, the range is meant specifically for purifying the skin i.e. getting rid of impurities, dirt, grime & bacteria that cause breakouts. The face wash, one can use without having to worry about your skin type, as it tends to cleanse the skin without stripping away the moisture from it. 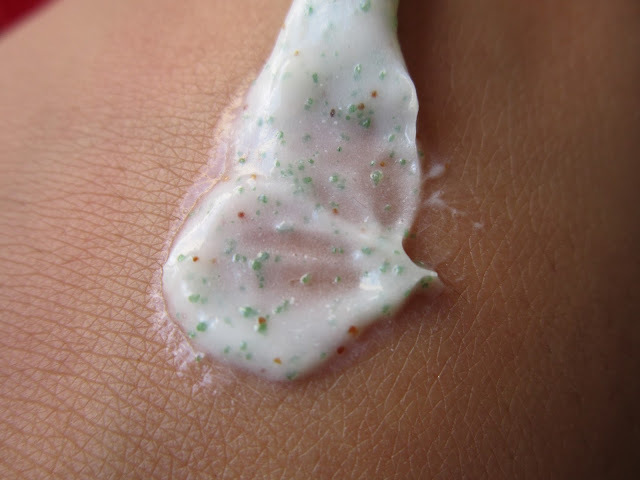 The scrub, can be used every other day or if you don't like the idea of exfoliating frequently, then twice in a week should be good enough. The face pack is the star of the whole kit for me, although one of my friends has reported a slight tingly/burning feeling when she used this pack for the first time. So I'd suggest to use it only if you have used face packs before & are comfortable with the warm feeling that face packs can sometimes give you. If this makes you uncomfortable, then you might want to check out the Himalaya Oil Clear Mud Face Pack (with Multani Mitti & Walnut). My experience with the kit: I have had a great experience with this little kit. 50 gms is a decent size tube to travel with & I have actually traveled with this whole kit. It's compact & quite travel-friendly, if you're looking to carry more skincare rather than makeup :-) This little kit has last me almost 3 months now & still has some more product to go! Overall, I'd say I haven't had too many break outs in these 3 months, apart from this one time I was exhausted after a party & slept with my makeup on :-( My skin just couldn't handle being 'taken for granted' like that & I woke up with a big zit which got angrier in the next 2 days. Once I was back to this kit for skincare, the zit dried out & died! ;-) So basically, this kit is a definite repurchase for me! Comes packaged like this :-) Cute init? 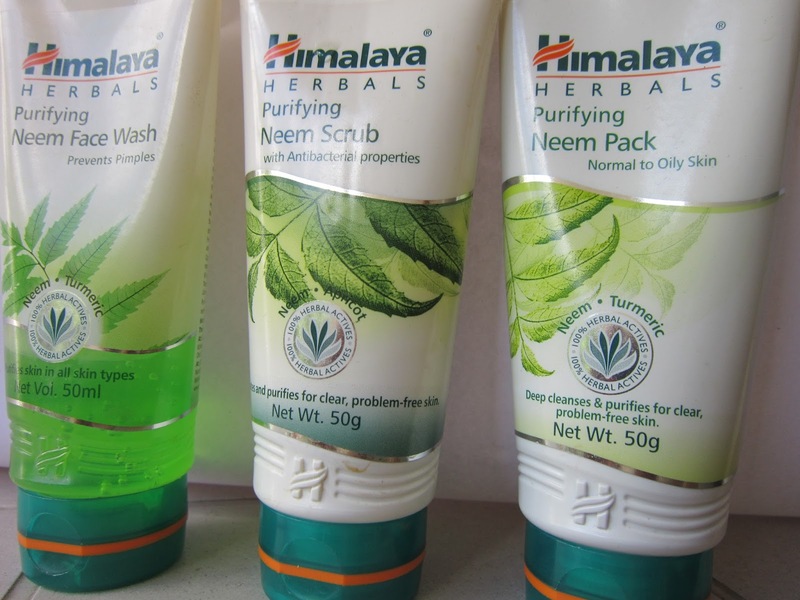 Himalaya products are real nice. I have used the face cleaner and the neem face pack. I love the fp! I love the smell! :) leaves the skin feeling supple and not extra dry or extra oily. I have dry skin and if the face skin flakes it looks real bad. I used to use this fp once a week and could see a considerable amount of afterglow! Filhal I have this Ud ka neem fp which is still cheaper and smells great too. Himalaya has been a family fav with us for quite some time now :-) Do tell me about the other brand you were talking about as well...!! 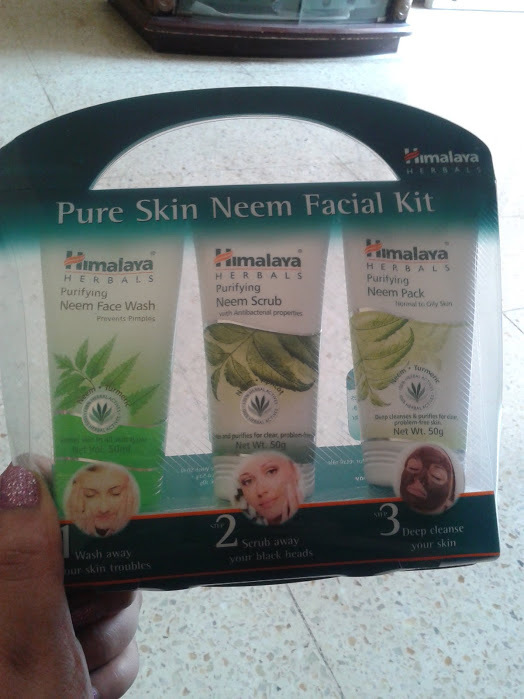 I love the neem face pack from this series. Have been using it for years now. Hey Neha tnx for giving review about the scrub. Wanted to try it since long . but now I can bindhas try it;). I hv been using both the fp and face wash. Both gives you excellent results. Like the Himalaya products.